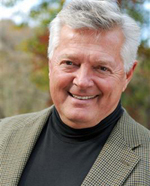 Dr. Robert S. McGee is a professional counselor, lecturer, and author. Among many other books, he wrote The Search for Significance, which has sold more than 3 million copies. Robert started a nationally recognized health care organization, Rapha, that provided in-hospital psychiatric and substance abuse treatment from a Christian perspective in hospitals and treatment centers across the United States, which helped 40,000 psychiatric patients. He has been involved with Christian counseling and ministry most of his adult life, helping believers heal from their emotional wounds. He began this career after returning from Vietnam, where he was a helicopter pilot. Jack Watts is an award-winning author, having published five books so far, including two with Simon & Schuster. His daily blog about recovering from religious abuse, Pushing Jesus, is read in more than 130 countries. Jack lives in Atlanta, where he broadcasts two weekly radio shows—Jack Watts Live and Jack Watts on Recovery. He has five children and nine grandchildren. A longtime friend and associate of Dr. McGee, Jack was instrumental in writing The Search For Reality material.